I'm not sure how dedicated I'll be in writing this but I'm at least going to try. Hi, everyone! I've so far spent two days in LA, three days at Tokyo DLR, and two days in Tokyo. It's hot, hot, hot, like everyone warned me it would be. So this may be a museum and coffee shop heavy trip. Always open to recommendations on both! I packed light- carryon only- but alas, not light enough. But I definitely do not recommend anything bigger than 21 in. There are elevators in the metro system apparently but I've not had much luck finding them and I don't know if they're at all stops. So lots of stairs! I had asked about sunscreen- I would say that if you have very fair skin like I do, check your bags and bring your favorite sports sunscreen. I have not found high spf waterproof yet- I sweat the other stuff off, so I will probably very, very freckled at the end of this trip. And probably red and peeling for most of it! Tokyo Disneysea is pretty amazing. A visual feast, and it has an Indiana Jones ride!! If you've been to DLR, I would focus on DisneySea because it's so different. Tokyo Disneyland is basically a clone of DLR with one important exception. Winnie the Pooh's Honey hunt is a fantastic ride and was worth the price of admission. If you've got muscular thighs, you may want to give Splash Mountain a miss. The restraints are very different and uncomfortable. I tried every kind of popcorn other than chocolate and soy sauce is hands down my favorite. The shrimp bun in Disney Sea is delicious. Table service restaurants- I was not successful there. If you don't stay in the official hotels or speak Japanese, the option is to show up right at 10 and get a little card. My favorite thing was the little green dumplings in tomorrow land. Cute and delicious! Little hand towels are popular there and they are very useful to have. I definitely recommend an insulated water bottle. I forgot mine one morning at the Sheraton and it's very easy to get dehydrated. I think vending machines may be the only place to buy water in the parks. Y'all probably know this, but the drink called Aquarius is sadly NOT water. Of 5 attempts to buy water so far, I've gotten something else 3 times. On the plus side, iced tea is unsweetened! In Tokyo, I stayed at Toco heritage hostel near Iriya Station. It's an interesting place; an old traditional Japanese house with a little garden. Because of that, they enforce quiet hours. No A/C, so I'm happy that I'm not staying there in August. But the rate includes a free drink at the bar, and for 300 yen you can get breakfast- tea, two rice balls, homemade miso soup. Very small, friendly operation. Yesterday I went to Tokyo National Museum for the special Thailand exhibit. It has an excellent audio guide. I also got my hair cut at assort international salon. My hair was short already but the humidity was giving me an unflattering sheep look. The stylist spoke English and was very nice, and I am so much cooler. Someone warned me that stylists tended to be scissor happy here, and it is certainly true, so be aware of that. However, I have a lot of hair, so that was actually a plus for me. I spend a lot of time at home trying to convince stylists to take MORE off. I've so far eaten 7-11 rice balls and food and I've enjoyed both. I've been surprised with how cheap it has been so far, actually. Really much less expensive than I expected. Enjoying your live trip report. I was there in May and with the exception of Kyoto which was quite hot, I enjoyed beautiful weather. I never travel in the summertime because I think it's hot here and hotter everywhere else. I love Japan so enjoy! I hate sunscreen, and in sunny countries I cover my legs and use my folding umbrella as a parasol. If you are not carrying one, very easy to buy one in Japan. Yes, eating and sleeping in Japan does not have to be expensive. Tokyo Station is dangerous if you like food (and also if you get confused- it's very busy.) I am just fascinated by how the Japanese seem to think of everything. I opened up my bento box and found not only mini chopsticks but also a hand wipe. My roommate and I walked to a convenience store tonight and those are also so interesting. I wonder if there's some sort of historical reason they carry such a wide variety of goods? I have a folding umbrella but it does not like the wind- snaps inside out the minute the breeze catches it. I'm hoping to find a beautiful umbrella in Kyoto. Does anyone happen to know if umbrellas can be carried on a plane? The noncollapsible ones, I mean? If it has a point, probably not, at least if you have to deal with the TSA. But I would never travel with a non-folding one. Some are sturdier than others. Kyoto station is overloaded with restaurants, too. You arrive at a platform and look for the elevator sign. If you are several levels down and there is no elevator then take the escalator (or stairs) up and look for the elevator sign at that level. You should be able to find an elevator up to the station gate level. After you go through the wicket look for the elevator sign again to find one up to street level. Some stations have an elevator to street level at multiple exits, so you look for the sign for your exit and also for the elevator sign for that exit. Or ask a station attendant: erebata wa doko desu ka? Or follow a Japanese woman pushing a baby carriage. I followed the signage, mrwunrfl, that's the thing! I knew that sign means elevator, but I just kept hitting dead ends. Sometimes I can get from platform to gate level, and sometimes gate to street, but rarely both in the same station. That's what's frustrating. I know they exist, because the signs are always there. I figured out the different entrance thing, though. I've seen that other places. I've followed a few strollers too and that's worked out. But admittedly, I think part of the problem is that I keep hitting rush hour. No babies or many people with luggage then, and I'm so desperate to get out I just head to the nearest exit. I've noticed in some stations that one exit could have multiple flights of stairs and the next may have a half flight. So it's probably largely my lack of patience. 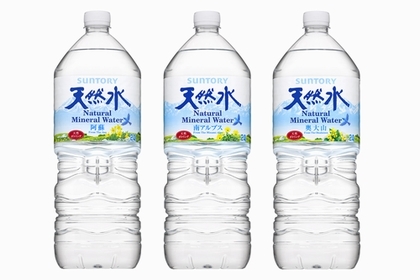 For water in vending machines, look for 水 (mizu) which is water. We found it was helpful to draw a few kanji in a notebook so we could recognise key words when they were not in English. Oh, thanks, kavey! That's a very helpful tip! Following along too. I don't know if I would enjoy the weather you're describing though; sounds like DC at this time of year. The symbol is the one on the right, above the word "water". Tripplanner001- yes, it definitely reminds me of DC in the summer! I knew what to expect but I should have known better. It's always most convenient to travel in the summer but then about two days into a trip I start dreaming about iceburgs, mountain lakes, and the beer cooler at the supermarket. Not beer- I struggle with hydration as it is- just standing in the beer cooler. On the positive side, I enjoy walking around late, and I'm enjoying all the summer specialties. There's always soft serve or an interesting cafe close by! I went to Hakone because I enjoy different modes of transit and I also thought it would be cooler. It isn't, but it's a beautiful area. Definitely a resort heavy tourist trap, but justifiably so. I stayed two nights, and if I came back, I'd stay a week and relax at one of the lake resorts or onsen hotels. You don't need a week, but it's one of those places that is better for relaxing than anything else. Do Japanese do much lake or river swimming? I saw a lot of boat activity and fishing but oddly no swimming beaches. My lodging was K's house onsen hostel. It's technically walkable to the train station, but not fun in this weather. I was really impressed by this hostel. It's beautiful, modern with a/c, and has both an outdoor and indoor onsen. Men and women are given slots of time for both, but it varies by day. The outdoor one is especially nice! Does anyone have any recommendations for Onsen towns or specific onsen ryokans? I'm thinking of splurging at the end of my trip, and I understand what y'all mean about Tokyo not being your favorite place. I liked it, but I don't think I'll want that full week in August that I have booked right now. I'd like somewhere I can relax and shop (and eat). Back to Hakone- There isn't much food nearby, but there is a decent convenience store. Like many resort towns in the US, the bus system shuts down fairly early, 8ish. This is because most of the sightseeing stuff shuts down at 5. Don't over plan for Hakone. The bus schedule gives a range of times such as eta: 10:30-11. It actually runs mostly on schedule, but if it's high traffic, like late afternoon, it'll run late. The road is narrow and winding and it takes time to get from place to place. My roommate and I did the train-cable car- ropeway- boat loop in about 4 hours, and that was with a quick stroll at each stop, although we spent a bit longer at one because we had to try the black eggs. The ropeway was my favorite part- I love those! We were lucky and got nearly a clear view of Fuji-San, but the clouds kept playing games, so it never lasted long.Then we parted ways and I went to the Lalique museum. Lalique was known for his work with glass primarily. He was a kind of bridge between art nouveau and Art Deco. He dabbled in everything from jewelry to wall panels, but he's perhaps best known for his perfume bottles. I wondered about why there was museum dedicated to him in Japan; as I turns out, he was well known for his japonisme work. He did not copy traditional Japanese art but rather created entirely new works using the aesthetic as his inspiration. Anyway, I really enjoyed the 3-D aspect of his works. Many pieces look rather typical of their style at first glance, but then when you look closer or from a different angle, you can see whimsy and drama in the fine details. Their special exhibit was interesting too. They have a Pullman car from the Orient Express that you can walk through; Lalique designed the glass panels which depict Grecian women (possibly muses, but I am not entirely sure). There were stamps of the car and the lady- I've seen this twice now- is it Japanese tradition to collect tourist stamps in a journal or something? I left Hakone in the early morning and did some exploring in Odawara. I ate a curry set lunch not far from the station (Sakti- the place is known for their grilled cheese naan, and it is delicious) and then explored Odawara Castle. An elderly gentleman gave me some carp food and I had a lot of fun feeding the carp in the moat. Probably a good thing carp can't walk on land; they're a greedy, shameless lot. I enjoyed an ice lemon smoothie at the shrine cafe and tried to make sense out of google translate. I think the shrine celebrates something about the metric system, but I can't quite figure it out. Enjoying reading along with you, MarvellousMouse! Your experience in the Hakone region sounds very similar to ours, except we did not get to see Fuji while we were there. Looking forward to your impressions of Kyoto. Still with you! Thanks for the info on the Lalique museum. I have avoided Hakone because it sounded very touristy, but that museum is tempting. BTW, there is an Art Nouveau museum in Takayama that has a fountain by Lalique. Am truly enjoying your trip report. Am rethinking visiting Hakone on my next visit in the fall. Still working on my itinerary.